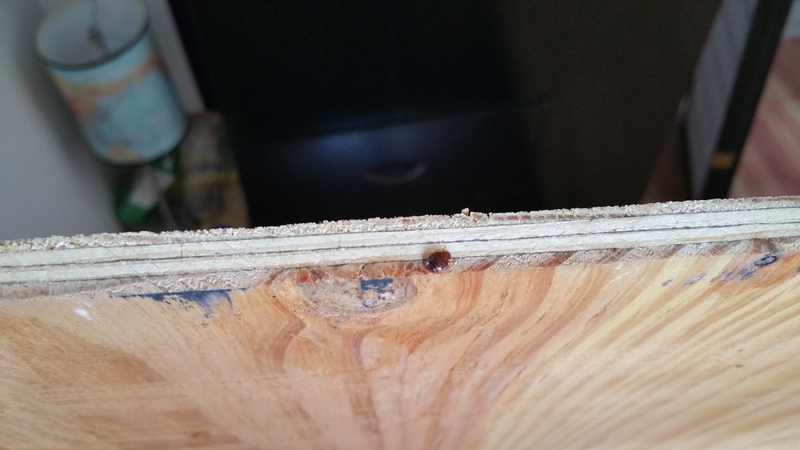 EM Pest Control: Are Bed Bugs Only Found On Beds? 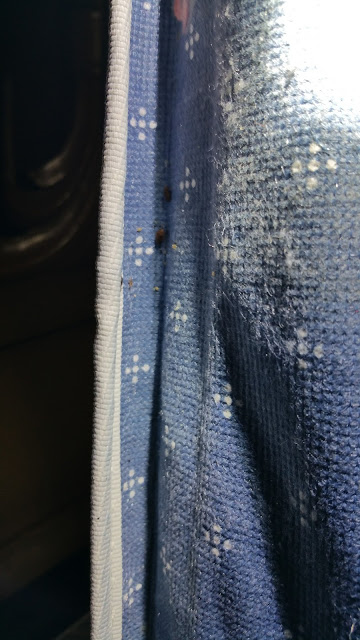 Are Bed Bugs Only Found On Beds? Most adult bed bugs are about 3/16" long and are oval and flat in shape. They are brown to reddish brown in color after a blood meal. Nymphs (young) resemble adults but are smaller and pale in color. After molting (shedding their skin) they are white in color and then light tan before feeding. Bed bugs have no wings, however they can crawl long distances (in excess of 100 feet) for a blood meal. wooden bed frame, such as where wooden members join. 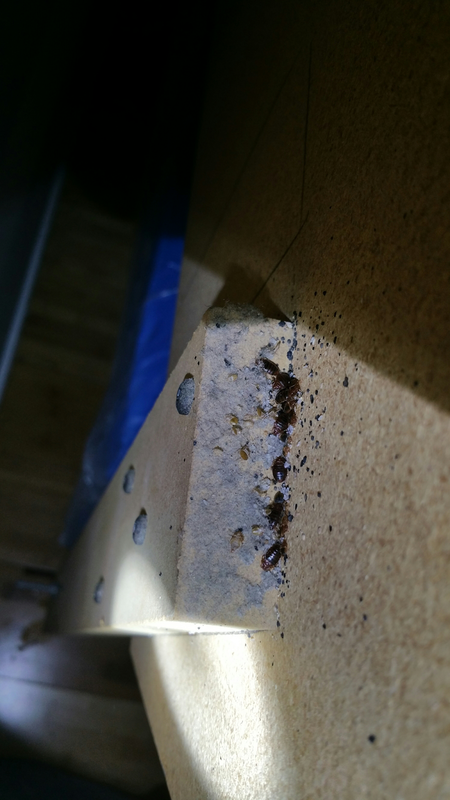 Beds, including the frame and headboards are typically the initial infestation site and the first place a Pest Control Professional will inspect. In time other places can become infested such as upholstered furniture, dresser draws, curtains, picture frames, mirrors, light switches, electrical outlets,door and window frames, under carpets, baseboards, crown mouldings, radios, clocks, televisions, telephones, stuffed animals, shoes, wall voids, between floor boards, etc. Bed bugs love clutter as this gives them the best chance of survival and reproduce. so it's important to keep all room neat and clean as possible. Female bed bugs lay around 1-5 eggs per day. The eggs are white, 1/32" long and are usually deposited in cracks in some of the items listed above or on rough surfaces and are secured in place with her transparent cement. The nymphs (young) go through five stages of growth. A blood meal is required before each growth stage or molting, that is the shedding of their skin. Studies show that adults and nymphs can survive months, and in rare cases even up to a year, for adults without a meal. This is one key reason why they are difficult to control and why they are spreading throughout the United States. 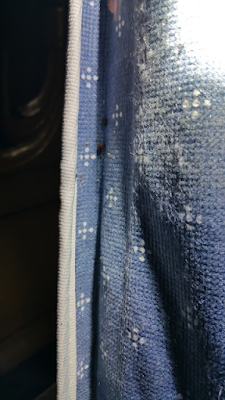 Because of their ability to hide deep into furniture and bedding, and live electrical equipment, it is best that a pest control professional be called in for an inspection and treatment(s) if you suspect bed bug issues. We at EM Pest Control are committed to Service, Solutions, and Satisfaction for your home or business. At EM Pest Control, we are experts at getting rid of what bugs you at prices you can afford! We provide thorough inspections, quality treatment and follow-up to solve your pest problems and bring you the best results possible.